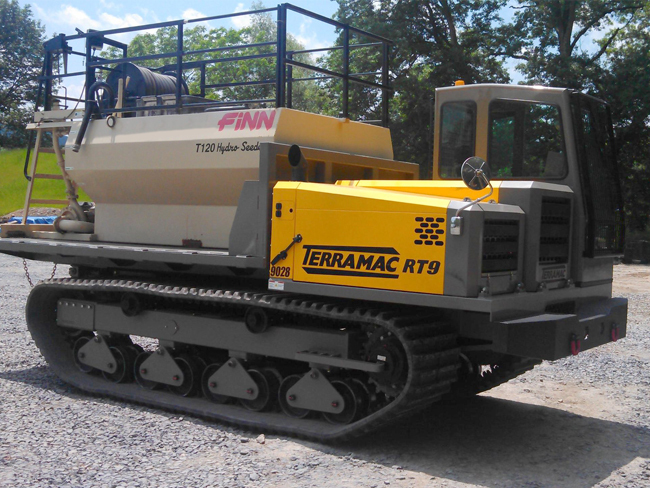 Thompson Engineering is a reputable engineering company that provides a vast array of geotechnical drilling services. 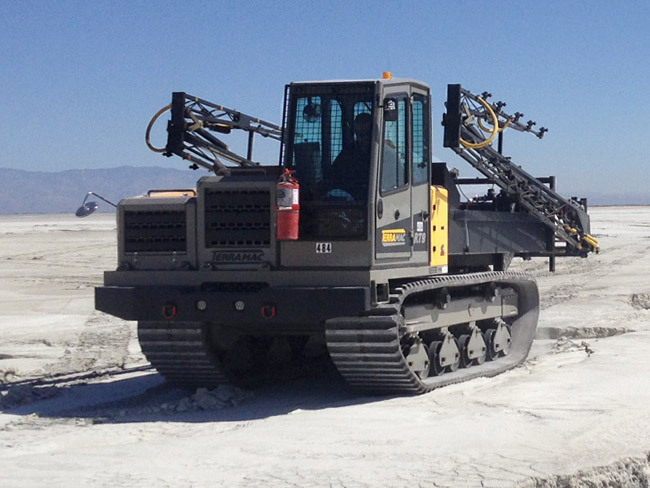 In 2011 Thompson Engineering expanded their offerings to the off-shore market and came to rely on the use of a CME 550X drill rig for its quality and performance while collecting Shelby tube and split spoon samples. 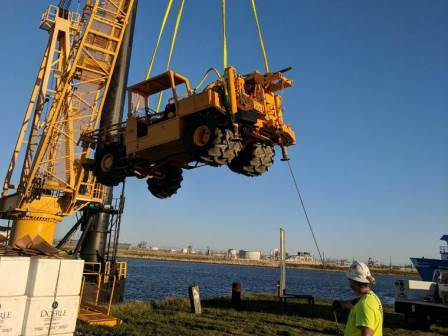 When Thompson Engineering’s existing rig broke down, they turned to Rig Source for a replacement rig that would continue to fit their enduring off-shore drilling set up. 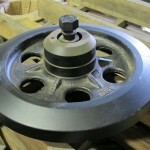 “Rig Source was a great outlet for finding a drill rig replacement. 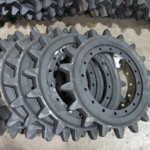 They had the exact CME 550X model we were looking for, and it was already refurbished and ready for operation which minimized downtime,” expressed Stan White, senior chief driller at Thompson Engineering. 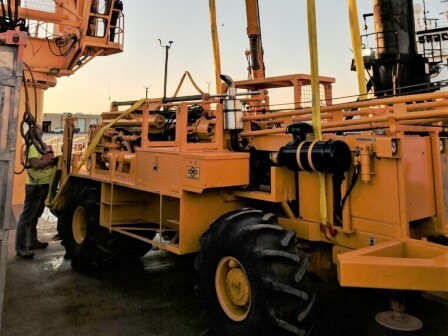 Prior to its sale, Rig Source had performed full maintenance and repair on the CME 550 which included a new clutch and hoses, full service of fluids and filters, right angle drive and rotary box rebuilds and more. 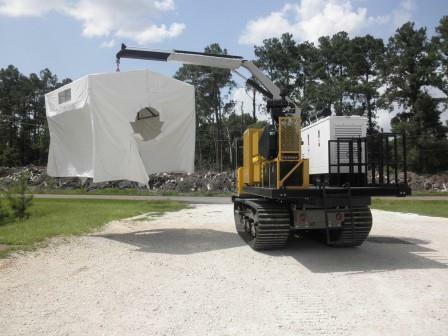 “The wireline winch that was included was an essential feature for us due to its quick operation and thin cable line which fit into our HWT casing,” explains White. After all repairs were complete on the rig it was then tested to ensure everything was fully operational. “When we commit to refurbishing a rig, we inspect every aspect of the rig and repair or replace features as needed to bring the unit back to like new condition,” says Chris West, service manager at Rig Source. 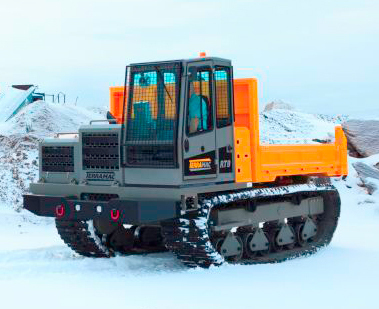 In addition to its features, the refurbished CME 550X offered the same size footprint as Thompson Engineering’s former rig. 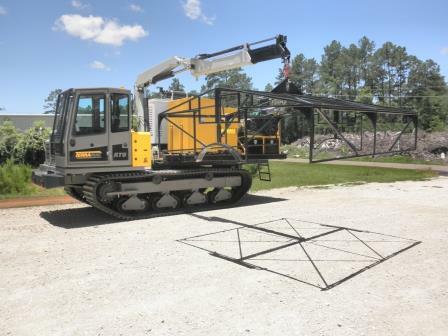 Sticking to the same drill rig model was ideal because the rig would then fit the existing cantilever, harnesses and straps, and tooling that were customized to the footprint of a CME 550X. “For off-shore drilling we have to mobilize the rig on a barge and we do that by placing it on a cantilever. It’s extremely important that the rig we use fits the cantilever securely out over the water,” explains White. 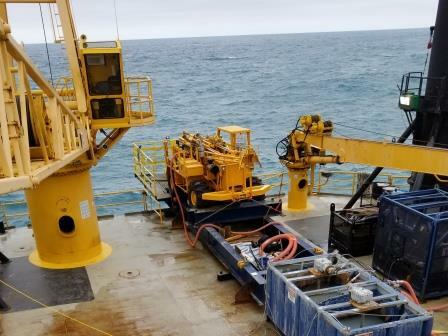 Off-shore subsurface investigation is challenging and having a reliable drilling rig provides drillers the security to efficiently and safely tackle projects. 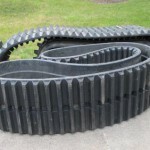 “We felt very confident and comfortable buying from Rig Source. 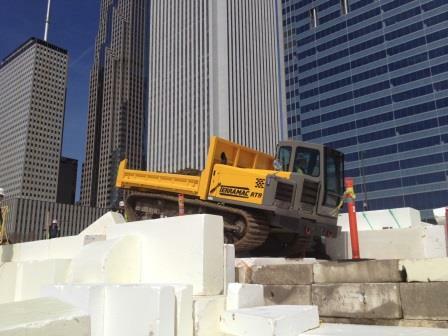 They were extremely knowledgeable and forthcoming about the work done on the CME 550X and it’s been a great addition to our fleet,” exclaims White. Rig Source is proud to be exhibiting at the American Exploration & Mining Association’s Annual Exposition going on December 7-9, 2016 at the Nugget Casino Resort in Sparks, Nevada. 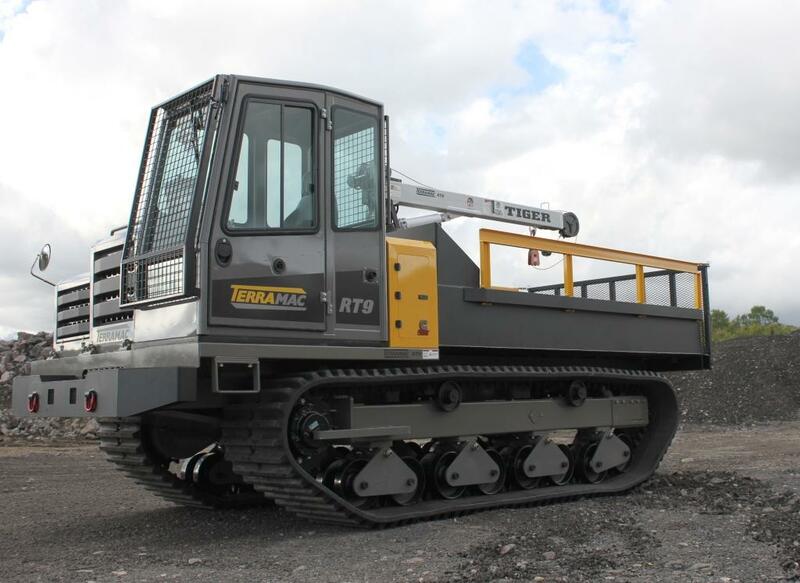 Just two short months after exhibiting at the world’s largest mining show- MINExpo 2016, we are back in the presence of the mining industry to continue educating members on the benefits and uses of crawler carriers. We’ve chosen to return to the AEMA exhibition because it has a history for attracting thousands of attendees from all over the world dedicated to mining technologies and developments. 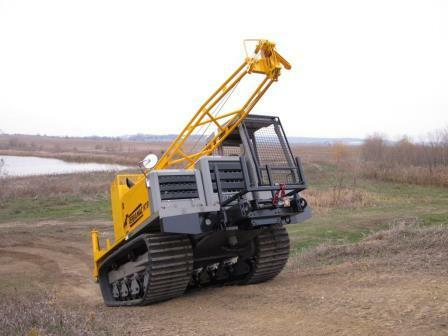 Rig Source has a long standing reputation for providing exploration drillers top notch drilling equipment, including track mounted drills, and we firmly believe the industry will benefit from further use of tracked vehicles. 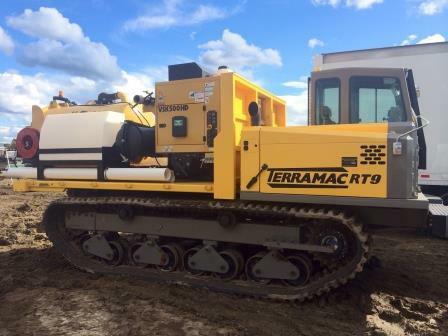 As a dealer for Terramac crawler carriers we offer exploration drillers the equipment necessary to reach remote site locations and explore problematic terrain. 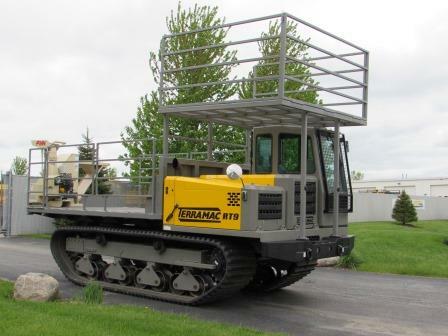 More recently, the rubber tracked technology of Terramac carriers has been used for dust suppression, tailings pond management, dam and dyke repair and general right of way construction projects. 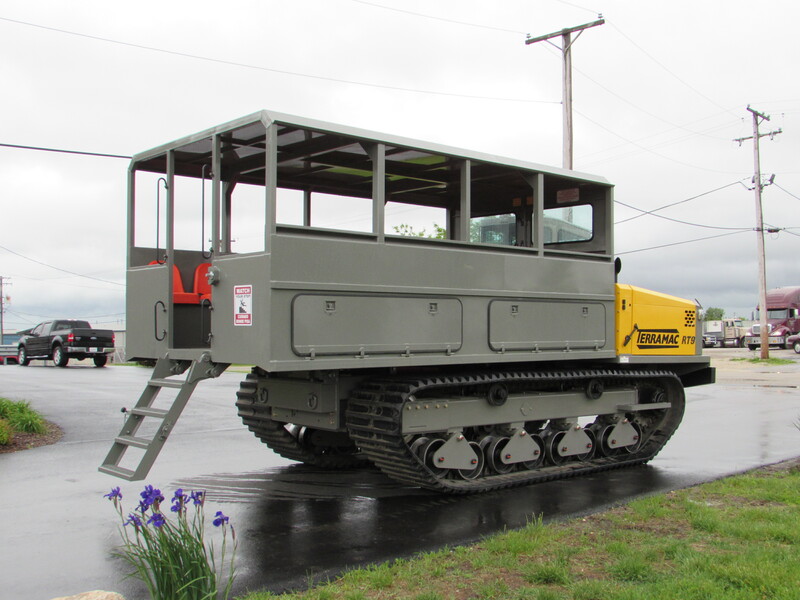 To learn more about the benefits and uses of crawler carriers, or to discuss other exploration drills and equipment available through Rig Source, please give us a call at 630.365.1649. If you’re considering a career in the coal mining, oil, or gas industries, you might not have a clear picture of how your career will progress. Your education, goals, and salary desires can all affect what path you might take in your mining industries career. Let’s drill down into what arcs your career path might make. First of all, it’s important to note that all entry level positions in the mining industries are paid hourly, meaning that the estimated salaries in this infographic are conservative, given that many in the industry work more than a 40-hour week. Jesse Whittaker, a Sales Rep at Rig Source who grew up in West Virginia and has been working in coal mining since the age of 16, knows the reason behind this: unpredictability. Most high school graduates will begin as a miner or laborer, earning from $37,000-45,000/year for operating heavy mining machinery, drill blasting holes, transporting coal, and laying out and building underground mines, according to Indeed. Most miners fall between the ages of 20-45, according to WiseGeek; with that in mind, working in the drilling industry may be ideal for a young person without a family at home, since the job requires so much time away from the family. 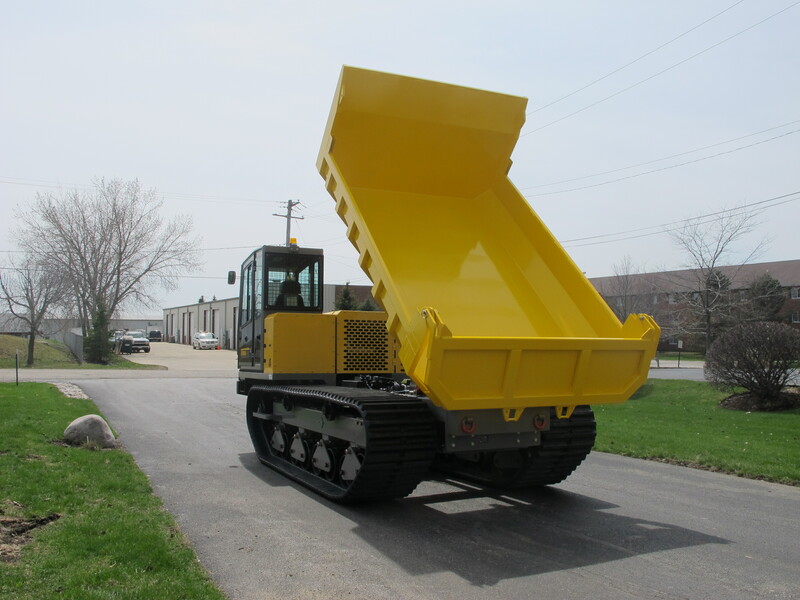 Miners or laborers can advance to an equipment operator miner, whose job duties include safely and efficiently operating mining equipment. The top rung of this career path is foreman, where one can earn $80,000-89,000/year for supervising miners, meeting quotas, and maintaining an efficient work environment. College graduates searching for a job in coal mining can explore careers as geologists or mechanical engineers, depending on their interests. A geologist researches formation dissolution and content of rock layers, and he may also study variation in rock formation and densities. A mechanical engineer, meanwhile, earns $73,000-89,000/year for designing machines and mechanical installations, evaluating machinery, and setting up work control systems. 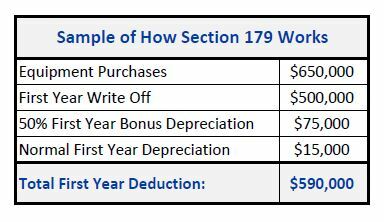 From there, an employee can advance to the role of mine manager, which comes with a significant salary increase and additional responsibilities of staffing management, performance evaluation, and promotion of a safe work environment. While a college degree isn’t necessary for a mine manager, only 17% have a high school diploma as their highest degree (for comparison’s sake, 43% hold a Bachelor’s Degree and 27% hold a Master’s Degree). Finally, a college graduate’s career in coal mining might culminate as an executive operations manager or mine engineer, both high-level roles earning around $100,000/year. A mine engineer is responsible for planning and designing mines for maximum structural stability, while the executive operations manager leads and managers operation teams. 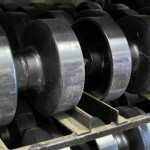 A crucial requisite to working in the oil and gas industries is being physically strong. In these career fields, you’re required to 100-150 pounds of equipment regularly. The physical nature of jobs on drilling rigs isn’t for everyone. A college graduate, on the other hand, may enter the oil and gas industries as a petroleum geologist, gaining valuable experience and knowledge in rock formations and mineral samples that could eventually pave the way towards becoming a CEO. The next rung on the ladder is drilling operations manager, managing daily operations and planning various drilling projects, such as exploration drilling, and revising them as necessary. Finally, a drilling operations manager may be promoted to a drilling/petroleum engineer, specializing in the production and placement of wells, earning around $104,000/year according to Salary.com. No matter which career path a budding worker in the mining, oil, and gas industries may choose, there’s one thing necessary for career success: autonomy. Being able to work well on your own and being self-directed is key to advancing in your career in the drilling industry. The inaugural inductions into the International Mining Technology Hall of Fame are upon us. The nominees were announced in November’s issue of International Mining Magazine, and it didn’t take long for various other magazines to begin broadcasting. The Hall of Fame is significant because it is the first time global innovators of the mining industry will get recognition on an international level. The induction announcements are set to take place on February 22, 2014 at a gala dinner hosted by Grand American Hotel in Salt Lake City, Utah. It’s just a few weeks away! Edmund Longyear, the man associated with drilling the first diamond core hole seems to be a favorite candidate for the inductions judging the amount of coverage he has received since his nomination. 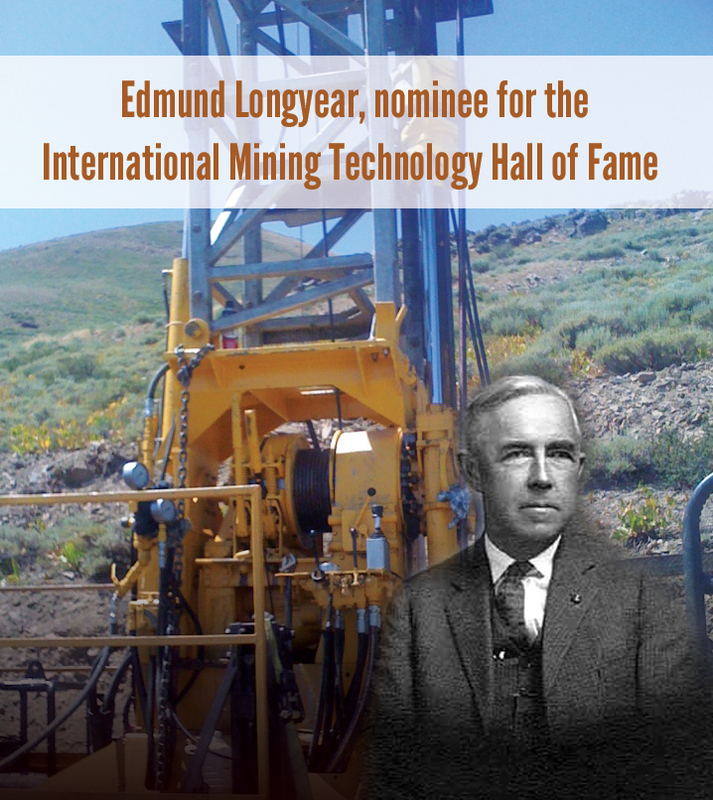 Longyear was nominated for his influence in contract diamond drilling, geological services and shaft sinking in the early part of the 20th century. He also formed the E.J. Longyear Company that later became what we all know and love, the Boart Longyear Company. 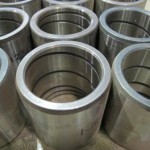 The Boart Longyear Company is responsible for revolutionizing exploration in the mid 1900’s with the development of the wireline retrieved Q core barrel which is still the standard today. Despite being a favorite, there are many more men and woman in all the categories that deserve tremendous recognition for the work that they do. An International Hall of Fame for Mining Technology is long overdue, and being the inaugural year, all nominees have a hundred plus years of competition that they are up against. Here at Rig Source, we are proud of each contributor that has been nominated in the International Mining Technology Hall of Fame. 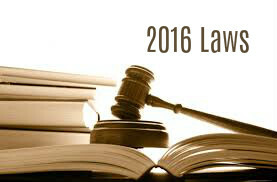 The nomination itself is a prestigious honor that very few are privileged to receive. We are directly impacted by Edmund Longyear and his industry accomplishments. 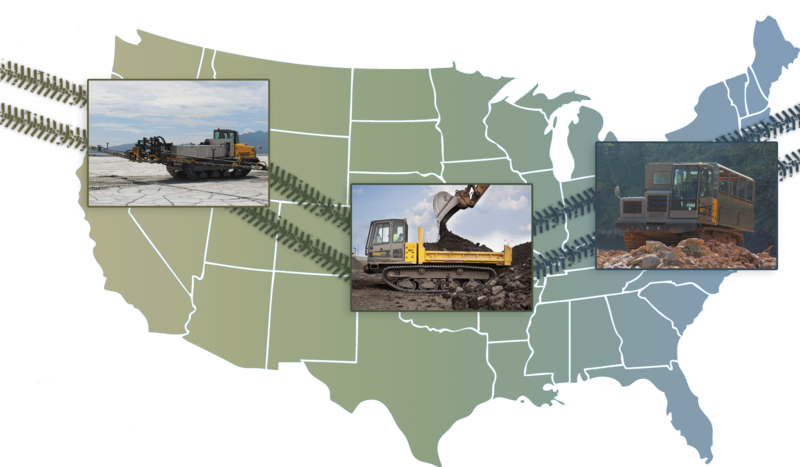 Rig Source is proud to offer Boart Longyear equipment as it is a popular choice for used core drill rig sales and rentals among our customers. What are your thoughts? 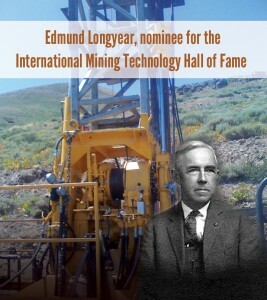 Do you think Edmund Longyear will take the inaugural induction into the International Mining Technology Hall of Fame for the exploration category?